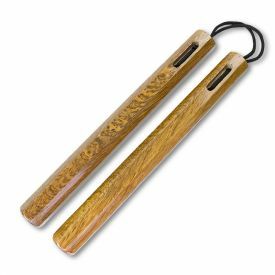 Most commonly used in Okinawan kobudo and karate, the nunchaku is one of the most popular martial arts weapons because of it's fast speed and compact size. 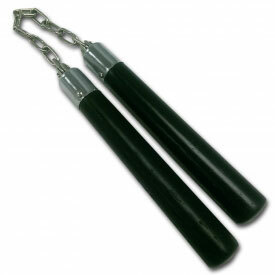 Of course, superstar martial artists like Bruce Lee also helped popularize the nunchuck through television and film. 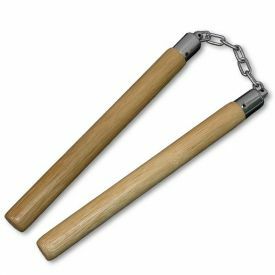 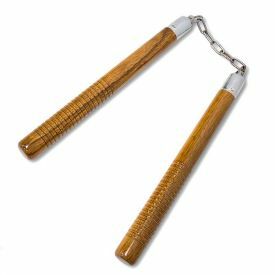 Nunchaku are traditionally a striking weapon but are also commonly used for joint manipulations and deflecting other weapons. 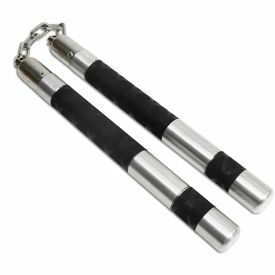 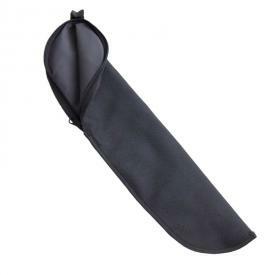 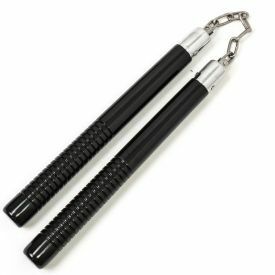 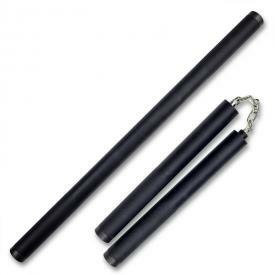 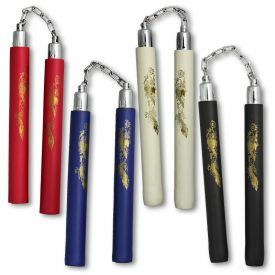 Available in a variety of materials ranging from the forgiving to the much less forgiving, KarateMart.com is happy to offer you a wide selection of martial arts nunchucks. 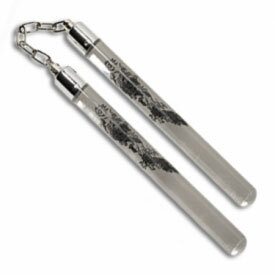 We carry everything from foam nunchaku to metal nunchucks that are hand-made at our headquarters in Tempe, AZ. 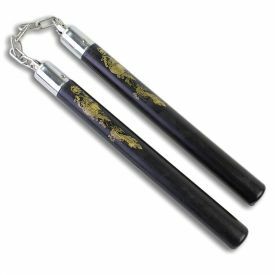 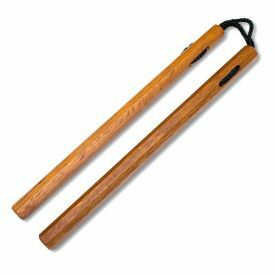 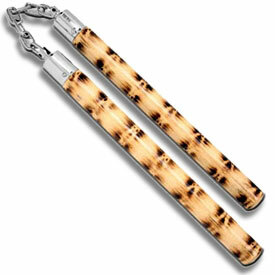 Karate-Mart.com takes pride in its nunchaku offerings. 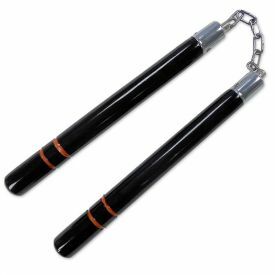 If you have any questions about a specific pair of nunchucks, don't hesitate to contact us. 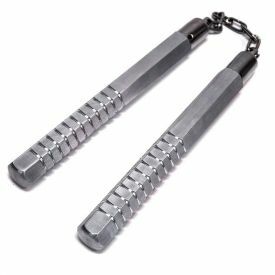 We would love to answer any questions you might have about this technical martial arts weapon. 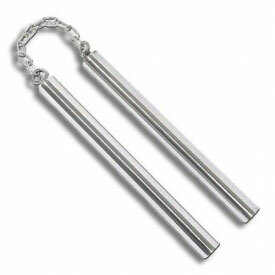 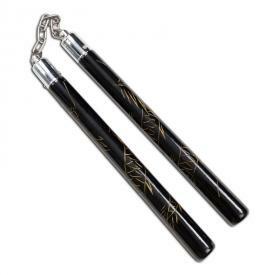 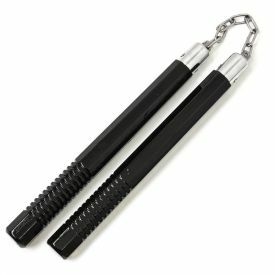 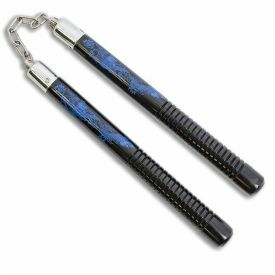 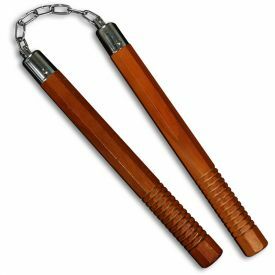 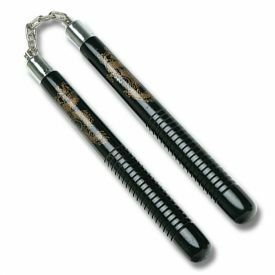 Whether you are taking nunchuck lessons or doing a weapons demo, you can always find a huge selection of nunchaku in stock at Karate-Mart.com. 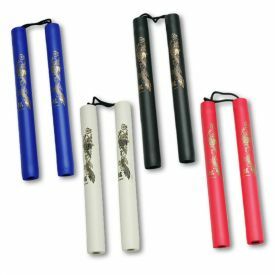 Nunchucks cannot be shipped outside the U.S. or to California or Massachusetts. 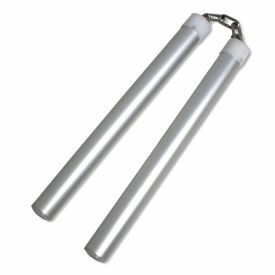 Check your state and local laws before purchasing nunchucks.